The 43rd orientation program for the students of CDAC DAC (Diploma in Advanced Computing) and DACA (Diploma in Advanced Computer Arts) was held on 25th August 2018 at MET Convention Center. Present in our midst were some eminent corporate personalities - Mr. Ajay Chauhan, Director - Engineering, Morningstar, Mr. Prithviraj Banerjee, Senior Manager - Technology Operations, Morning Star & Mr. Kedar Khot, DFX Head at DNeg Studios, Prime Focus (Double Negative), India. 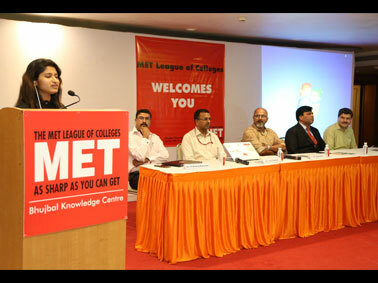 After the inaugurated, Dr Abhijeet Banubakode honoured the esteemed dignitaries. 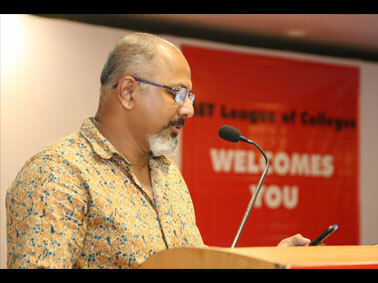 The eminent guests shared their valuable experiences with the students, giving them a glimpse of the IT industry and the expectation that the IT industry has from the young IT and design professionals. To add value to the event, a few MET Alumni who have reached prominent positions in the Industry, were invited by Mr. Nilesh Shirke to enlighten some key points that could act as a guiding light for the students during the course duration. The event concluded with showcasing of DACA Student Projects followed by vote of thanks.